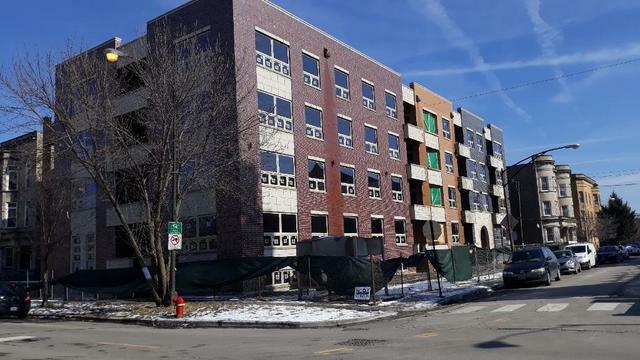 New construction 18 unit building w/ elevator, walking distance from the University of Chicago Hospital and college campus and 5 minutes from future location of Barack Obama Presidential Library and tons of other developments in the area. Gorgeous kitchen and bathrooms-master w/ jacuzzi tub and double vanity, separate shower. Quartz countertops, stainless steel appliances, hardwood floors throughout, prewired for surround sound, recessed lights, balcony, and fireplace and laundry in each unit, all units have separate furnaces and A/C units. Spacious and sunny units with tenants paying separate utilities. The building is a great source of income and investment opportunity. This is a brand new building which will be ready for occupancy in August 2019. We have 3 units with 2 bedrooms/2 baths, 3 duplexes with 4 bedrooms/3.5 baths, 3 units with 4 bedrooms/2.5 baths, and 9 units with 3 bedrooms/2baths. Please call the listing agent with any questions. Call today! Courtesy of Plus Real Estate Services, Inc.